When my first child was a baby, nearly 13 years ago, I remember just a few available options for baby wipes. Those options contained chemicals that caused rashes on my baby’s bottom. Eventually I gave up on baby wipes, choosing instead to clean her bottom with wash cloths and plain water. While this option kept her bottom clear, it wasn’t easy to change her diaper on the go. At home I’d get her to the changing table, only to realize in mid diaper change, I hadn’t wet enough wipes in the bathroom. That was a big problem! Plus packing a diaper bag without traditional wipes is difficult. I don’t have to resort to wash cloths and finding a sink, or remembering to pack a water bottle anymore. Instead I rely on WaterWipes to clean my toddler’s bottom, and all the other messes he gets into. 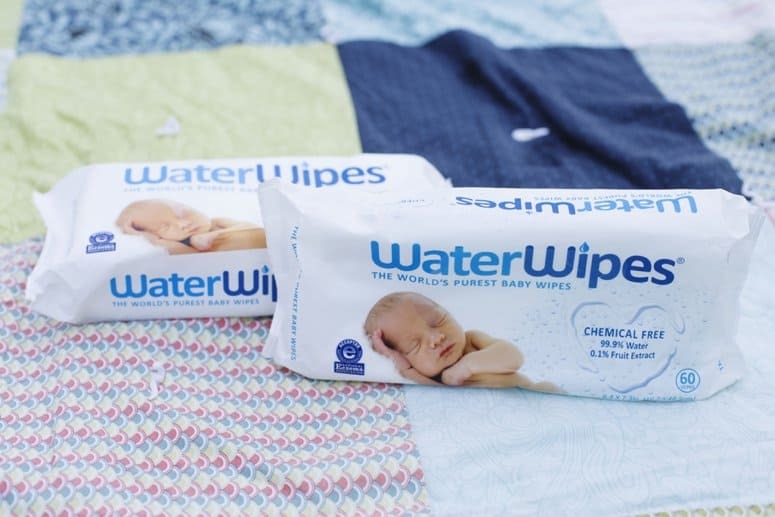 Since WaterWipes is chemical free, I have a safer, more natural option that traditional wipes this time around. 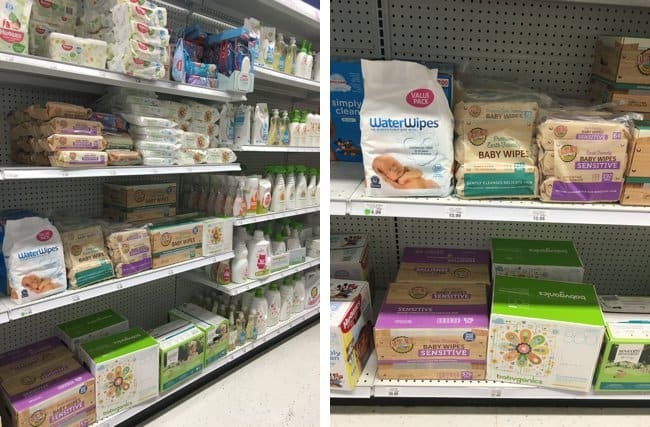 Last week, as we left town headed toward vacation, I stopped at Babies”R”Us to stock up on WaterWipes. I was so thankful for plenty of durable baby wipes both during long car rides and during our adventures. 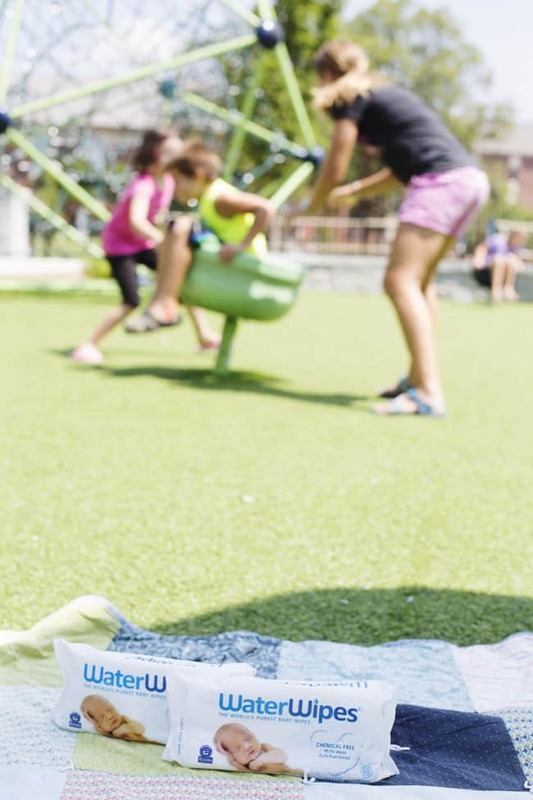 WaterWipes perfect for cleaning faces and hands at the playground. One of my favorite things about WaterWipes is how versatile they are. Have you ever wiped a sticky, dirty face with a traditional baby wipe? The taste of perfume and chemicals on lips is awful! But since WaterWipes contain only two ingredients, 99.9% pure Irish water and 0.1% grapefruit seed extract, I can clean my children’s faces without leaving a yucky taste behind. 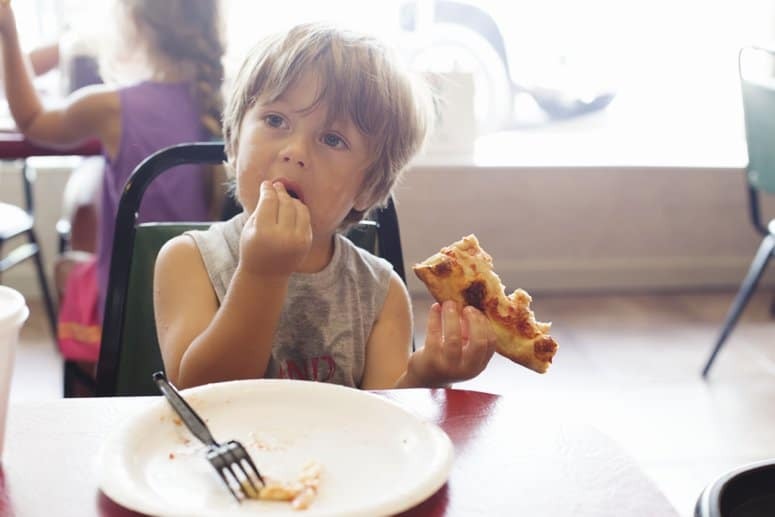 With a car hating toddler, one of my go to traveling distractions is lots and lots of snacks. In 20+ hours of car and travel time last week, those wipes got quite a workout keeping my snacking toddler clean! Driving without the traditional lingering baby wipe scent on my hands was definitely an added bonus. My poor boy got bug bites in his diaper area on vacation, gentle WaterWipes cleaned his bottom at diaper change time without further irritating those itchy bites. The durable wipes allowed me to clean him quickly while he was uncomfortable and unhappy about diaper changes. 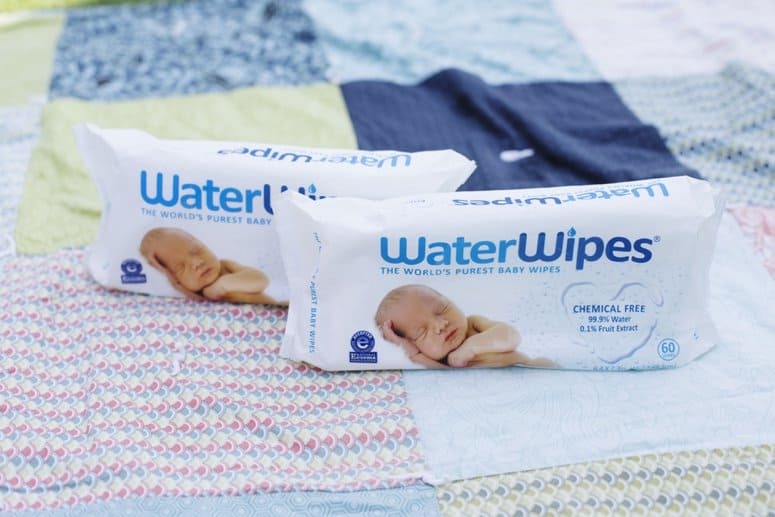 Jonathan and I are both fans of WaterWipes, I only wish I’d had them years ago for my sensitive daughter! Have you tried WaterWipes yet? Find WaterWipes sold near you here. Enter below to win one of five $100 Babies”R”Us gift cards, hosted by I-C. The contest closes on August 18, 2016.